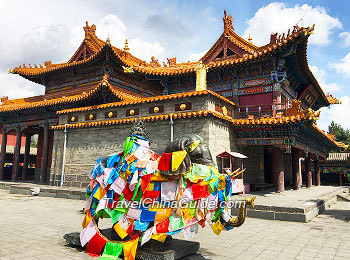 Hohhot, translates as “the Green City” from Mongolian and abounds in historical and cultural relics, among which the Tomb of Zhaojun, the Wuta Temple and the Dazhao Lamasery are must-sees for a Hohhot tour itinerary. 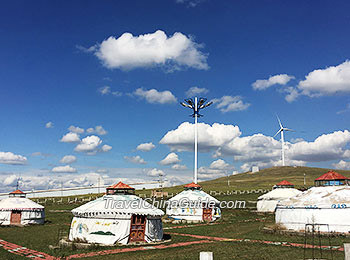 In addition, as it has been aptly named, the region enjoys lush, green Prairie-like grasslands, known as the Gegentala Grassland is the top destination with many Mongolian ethnic features. 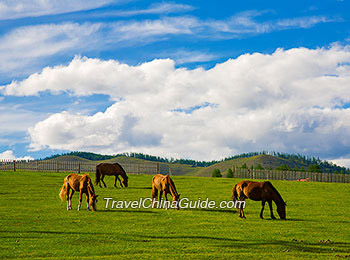 The 6 days Inner Mongolia tour package from Hohhot to Ordos provides a richer travel experience. Fascinating natural scenery of Xilamuren Grassland and Singing Sand Ravine, historical relics such as the Dazhao Temple and Genghis Khan's Mausoleum, as well as the traditional folk activities won't fail you. 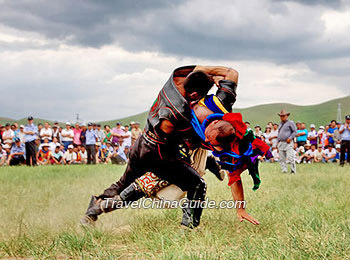 The mysterious religious culture of Mongol, Russ and Ewenki, the picturesque landscape of prairie, coniferous forest, and wetland are the highlights to attract you to this Inner Mongolia one week vacation trip. This trip is full of famous tourism sites, such as the historical site of Xanadu, and the natural scenery of wide prairies, sandy lands, geological wonder of a glacial stone forest, and alluring lake views. Along the journey, you will find many wonderful places with spectacular landscapes, offering you inspiration to get great camera shots. The 2-day Inner Mongolia tour package from Hohhot to Baotou is a golden itinerary, featuring both natural scenery and historical places of interest, which covers Hasuhai Sea, Meidaizhao Old Village and Wudangzhao Temple. For more Trips Related, please click Hiking Adventure, Golf Vacation and Bicycle Routes. 10 -18 may to imner momgolia .2 -4paxs.like to joim group tour.ex beijing.6-8 days tour is ok.
We do not have small group tour to Inner Mongolia at present, but we can customize a private trip to Beijing and Inner Mongolia for you. Thanks for your attention. 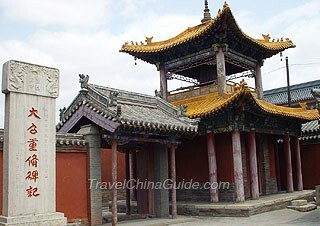 we are three travellers looking to visit inner mongolia in early april for 5 days. Is it too early in the year to visit and Can we without much preparation get a good experience in the grasslands? Hi, I do not think early April is a good time to visit Inner Mongolia, especially grassland is the most highlight of that area. It is very cold in early April and only a little grass turn green. Is that possible for you to postpone to May or choose another place instead. I want to visit The Gegentala Grassland on May 17th. Is it easy to take a bus from the long distance bus station in Hohhot? I can only visit for the day and must be back in the city before 9pm so I can catch a train. Would this be easy to achieve by taking local buses? Why don't you stay one night there? I'm afraid that one day is not enough for you to tour around the Gegentala Grassland. I'd love to but i am on a tight schedule, such is the nature of my vacation. I'd like to get there as early in the morning as possible and spend 4or5 hours before i take the train the Ningxia. Do you know about return buses to Hohhot?